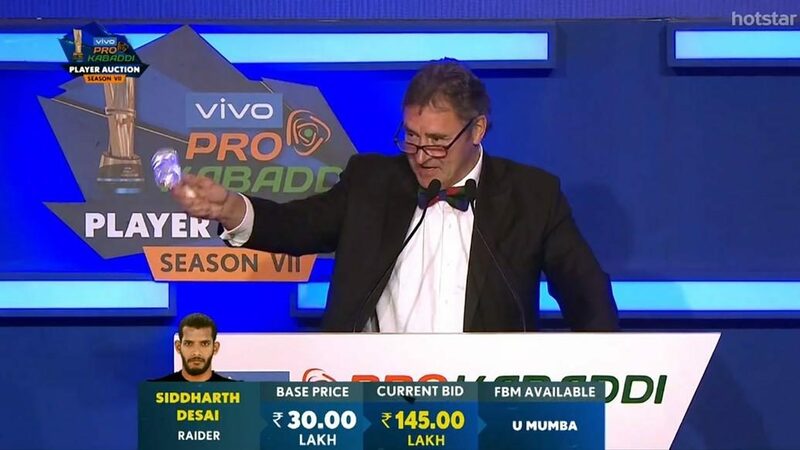 The first day of the VIVO Pro Kabaddi Season VII Auction saw some of the league’s top performers and some exciting newcomers go under the hammer. The New Young Players were the first to be auctioned and they were followed by the overseas players. First overseas player to go under the hammer was Iranian defender Abozar Mohajermighani who was of interest to a number of teams with the Telugu Titans using their first 'Final Match Bid' option to retain the services of their outstanding Corner defender. The big surprises from the afternoon session were Iranians Mohammad Esmaeil Nabibakhsh and Mohammad Maghsoudlou, who found a host of suitors in the auction room. But it was the Bengal Warriors and the Patna Pirates who managed to emerge as the victors in the race for the signature of Nabibakhsh and Maghsoudlou, respectively. A further 17 overseas players, including six Iranians, were sold in this session, with South Korean Dong Geon Lee attracting the most interest before being picked up by U Mumba. Following a short break, the bidding resumed with the Indian all-rounders coming into the fray. 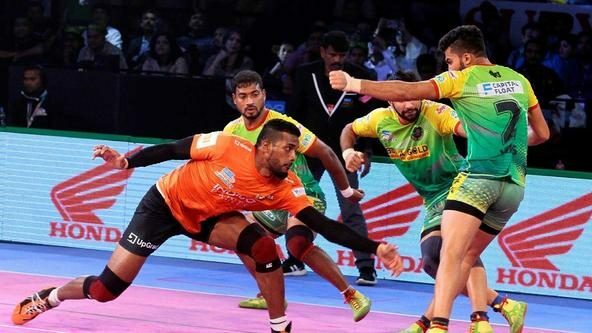 Ran Singh was the first player on the block and ultimately the Patna Pirates managed to snap up the former Bengal Warriors’ player. 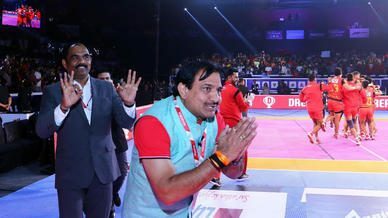 In what was a precursor for things to come, Sandeep Narwal’s signature became the day’s second hotly contested battle and it was U Mumba who emerged victorious in securing his services. Veterans Surender Nada and PO Surjeet Singh were snapped up by the Patna Pirates and Puneri Paltan, respectively, and it was followed by Jaideep, Parvesh Bhainswal, Mahender Singh and Vishal Bhardwaj heading back to their respective teams from Season VI, in what was a run of four straight uses of the Final Bid Match option by the teams. Next up were the Indian raiders to go under the hammer. 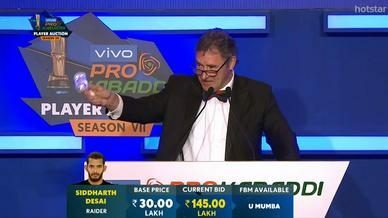 Chandran Ranjit was the first to have his name taken and the team from the capital showed no hesitation in using their second Final Bid Match option to retain their standout raider from Season VI. 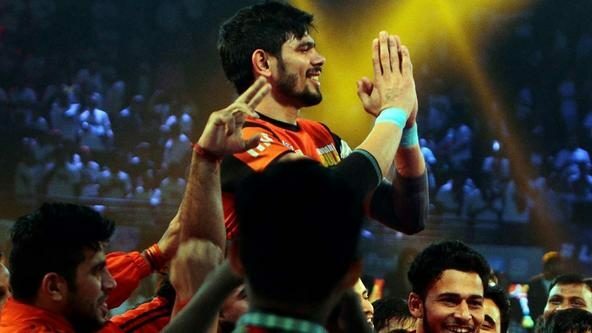 The day’s biggest splash was on maverick raider Siddharth Desai who was picked up by Telugu Titans where he will reunite with former U Mumba coach Gholamreza Mazandarani. The man whose place he took, the Raid Machine Rahul Chaudhari, will begin a new chapter in his storied VIVO Pro Kabaddi career with the Tamil Thalaivas where he will team up with Ajay Thakur, forming one of the most exciting raiding duos in the league. Before they acquired Chaudhari’s signature, it seemed that the Tamil Thalaivas had snapped up Nitin Tomar but Puneri Paltan decided to use their second Final Bid Match card to retain their top raider from Season VI. U.P. Yoddha, who were quiet for most of the day, used their Final Bid Match cards to retain Rishank Devadiga and Shrikant Jadhav while also picking up Monu Goyat to form an exciting trio of raiders. Goyat’s former team Haryana Steelers managed to fend off interest from a host of franchises to sign Prashanth Kumar Rai to their roster. The other notable acquisition in the final hour of the day saw raider K Prapanjan and Right Corner Mohit Chhillar join the Bengal Warriors and Tamil Thalaivas, respectively, after intense bidding. Puneri Paltan, with an aim to strengthen their raiding department, picked up youngsters Manjeet and Darshan Kadian after fending off interest from other suitors. The league’s two most senior players, Dharmaraj Cheralathan and Jeeva Kumar, were snapped up by the Haryana Steelers and Bengal Warriors respectively. 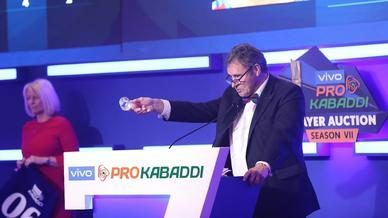 With that the bidding on Day 1 came to a close and the teams will be back again at the Auction room on Tuesday to battle for the remaining pool of players to complete their squad formations for the VIVO Pro Kabaddi Season VII campaign.